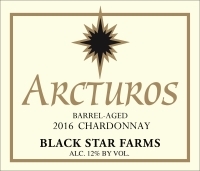 Our most full-bodied white wine, this Chardonnay is the result of a great vintage and extended aging in new and 2nd use French oak barrels. It is full of flavors that are based in the Pomme fruits of the season, such as apples and pears. There is also an added twist of carmelization that comes from the wood of a great cooper. Fresh apple and pear aromas followed hints of vanilla, delicate woodsy spice, caramelized sugar and smooth oak in the finish. Try this wine with more full-bodied meals. We recommend pasta in cream sauce, salmon, butternut or acorn squash, lobster ravioli and cheddar cheese. This is Chardonnay made to compare with white Burgundy. I love the wines of Montagny and Mercurey and believe a Meursault comparison is not far off.